My Little Patch of Sunshine: Super Bowl Giveaway Winner! We were a little worried in the 4th quarter, but the Arizona Cardinals are headed to the Super Bowl!! 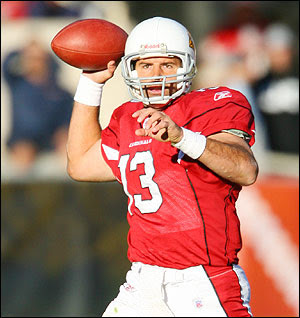 WOOO HOOOO for the entire team, and especially for Kurt Warner! This will be the Arizona Cardinals first trip to the Super Bowl and I imagine the excitement around here is going to be pretty high for the next couple weeks. But, you all came to find out who the winner of my Pepsi Super Bowl Party is, didn't you? So, without further sports talk . . .
. . . the winner (thanks to random.org) is . . .
Commentor #19 was Kraig!! Congratulations! Your package will be shipped to you before Super Bowl Sunday! Take pictures and let me see the awesome party you throw!! Thanks to everyone who entered the giveaway! I hope you all have wonderful Super Bowl parties and I expect you all to cheer on the Cardinals! Well now. I don't "do" the Super Bowl - but what do I know? Just wanted to let you know, Mel, that I gave you a "Lemonade Award" over at my blog! Alas, today I also bequeathed to you a "Lovey Award". When will it all end?